Bladesmith Hoffmann/Pieper and Designer Quintin Nel have teamed up to design the world’s most expensive knife. This amazing blade is crafted from carbon steel. It’s handle is crafted from from sterling silver with a stocking from eight diamonds. 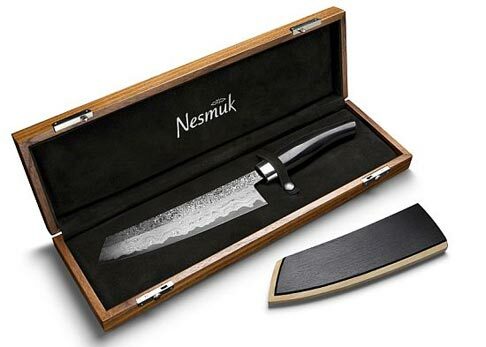 Named “The Nesmuk” this knife is claimed to be the sharpest in the world and sells for an amazing 31,000 euros or $43,118 Dollars. For that price you also get a matching ring in case your wife takes offense to gifting her a culinary tool. A stylish piano box is also included to showcase this lovely device and keep it looking sharp. Order A 14k Gold Chain Online.